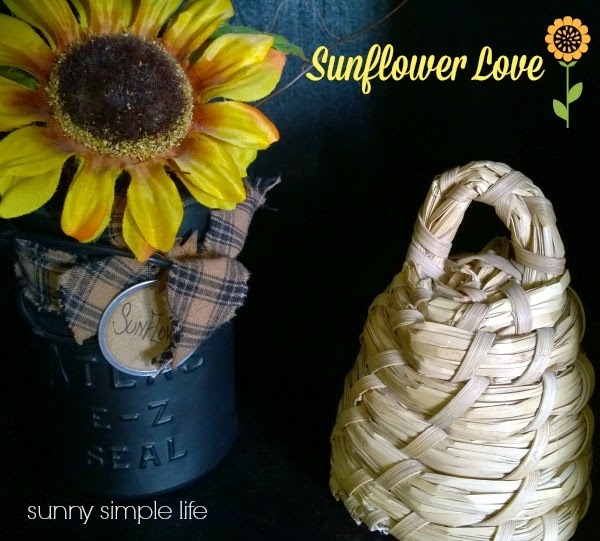 I love sunflowers and working them into late summer early fall decor is perfect this time of year. Maybe it is a little too early for pumpkins but warm colors of burlap and yellows and golds, are perfect September decor. 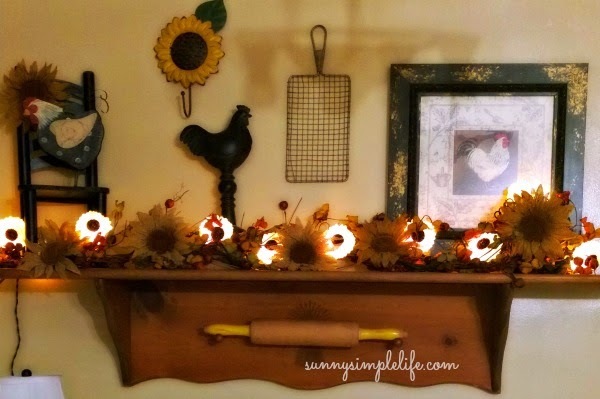 Here are a few of my decorating ideas for September or fall. 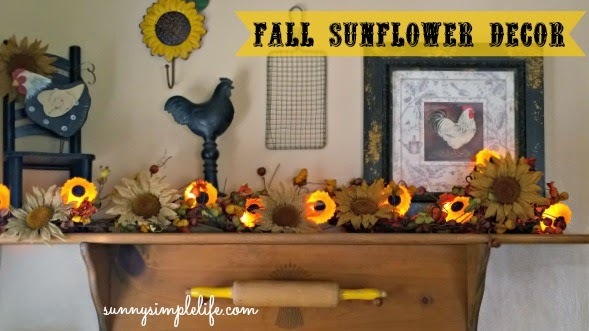 I found a strand of lighted sunflowers and knew I wanted to use them on my seasonal kitchen shelf display. 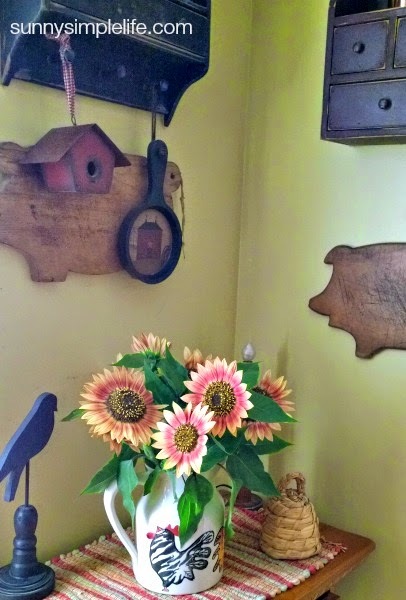 Hubby wound them around a fall garland and we tucked in some burlap sunflowers. Add a few pumpkins in October and we are set for fall. 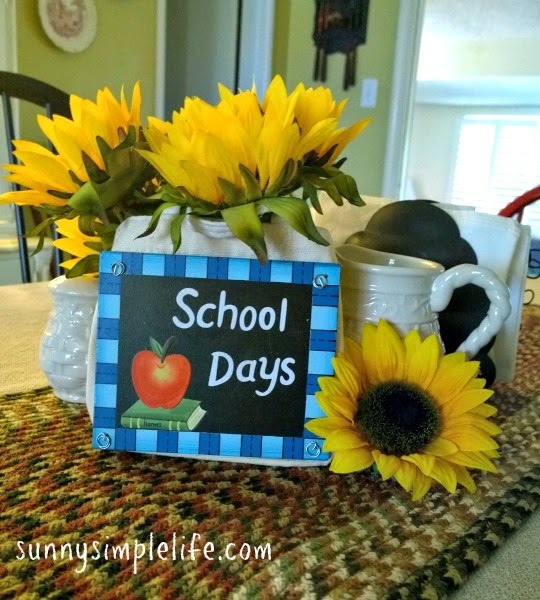 Here I did a simple back to school centerpiece with silk sunflowers. Sunflowers tucked in with other fall colored flowers are perfect this time of year. 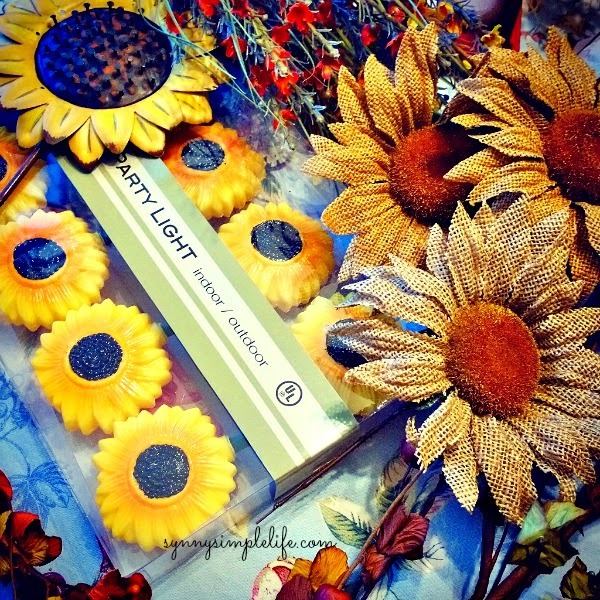 And if you have fall colored sunflowers growing in the garden, all the better for fall display or autumn decor. I bought my lights at a local shop but I found the same ones on Amazon. Link below. Very pretty! I love those lights and your great displays. 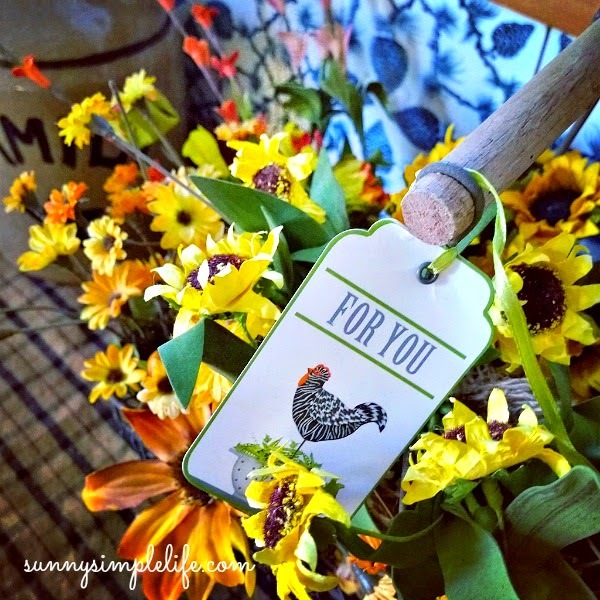 Tout comme vous j'adore les fleurs de tournesols... Elles sont mystérieuses et magiques 8 J'ai publié aujourd'hui sur mon blog un ensemble de fleurs de tournesols. J'aime beaucoup ce dernier petit billet rempli d'astuce et de créativité. I'm impressed that your Hubby helps out . . .
Hope your day isn't too hot, but we are expecting it to be really hot here. Sunflowers always make me smile! I love how you displayed them in your home! 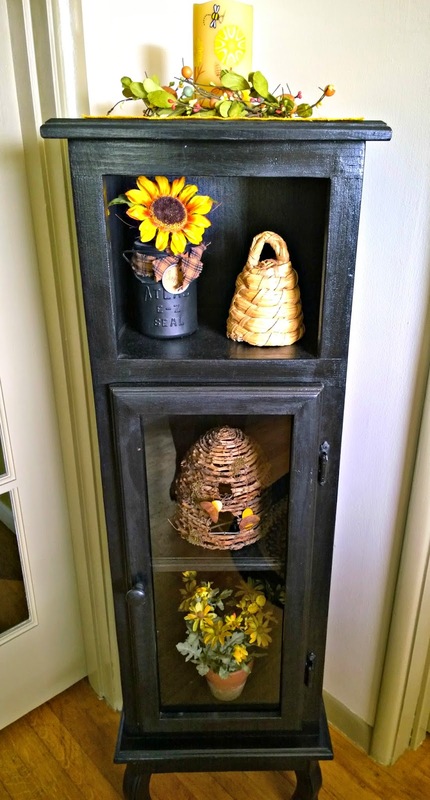 A cheerful touch to any room!